Kip the Border Collie/Australian Shepherd Mix who is 4.5 years old. Carbon The Alaskan Malamute who is almost 2 years old. 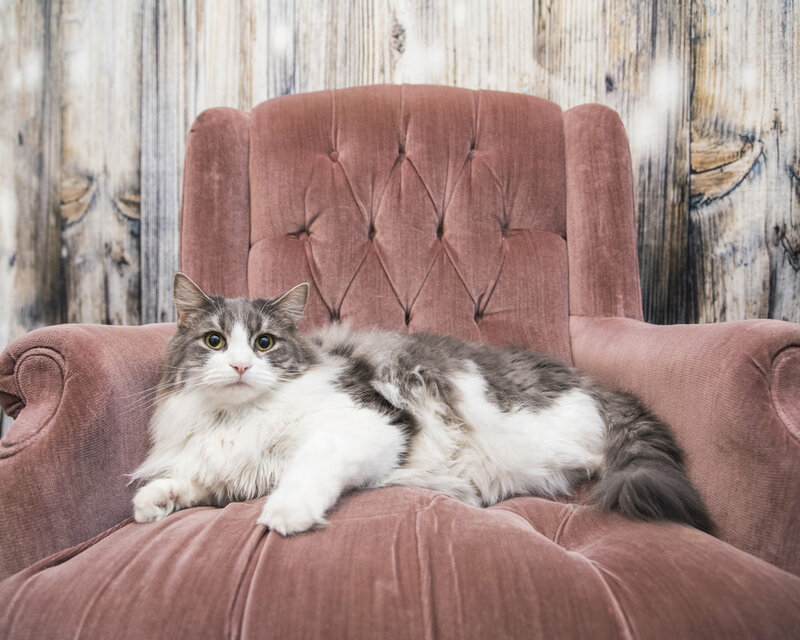 Mugsy the Maine Coone cat, who is 2 years old. Lil Dipper the Alien cat who is almost 2 years old as well. All four of my fur children have very unique personalities and I have always wanted to capture them together in a photograph. 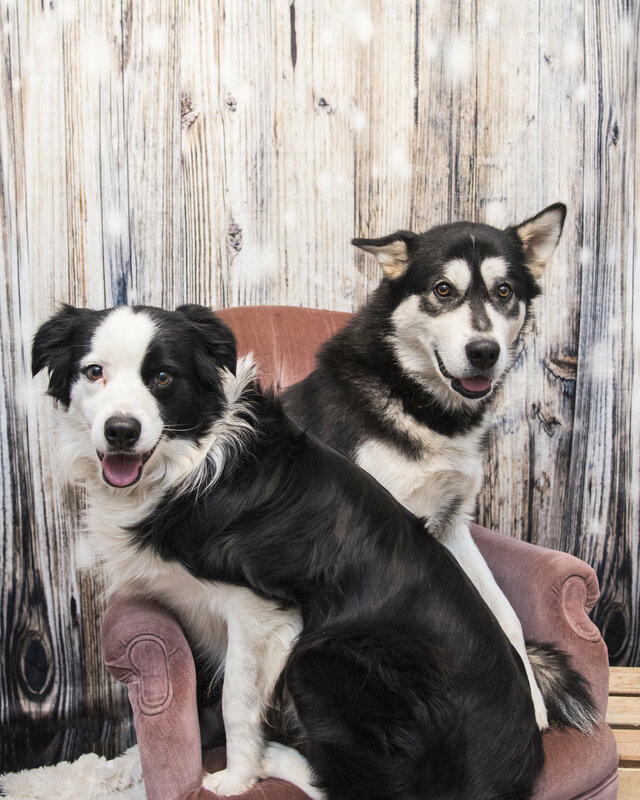 So this winter I decided to take "family" Christmas Photos in my in home studio. Let's just say they did not go as planned and it was probably hilarious to watch me try to herd them. The only group photo I got is actually 5 different images merged into one, but I am happy that I captured the ones I did. Here is just a small sneak peek of all of the photos I got.